A completely natural, herbal anti-itch cream, useful for managing conditions like Sweet-itch. 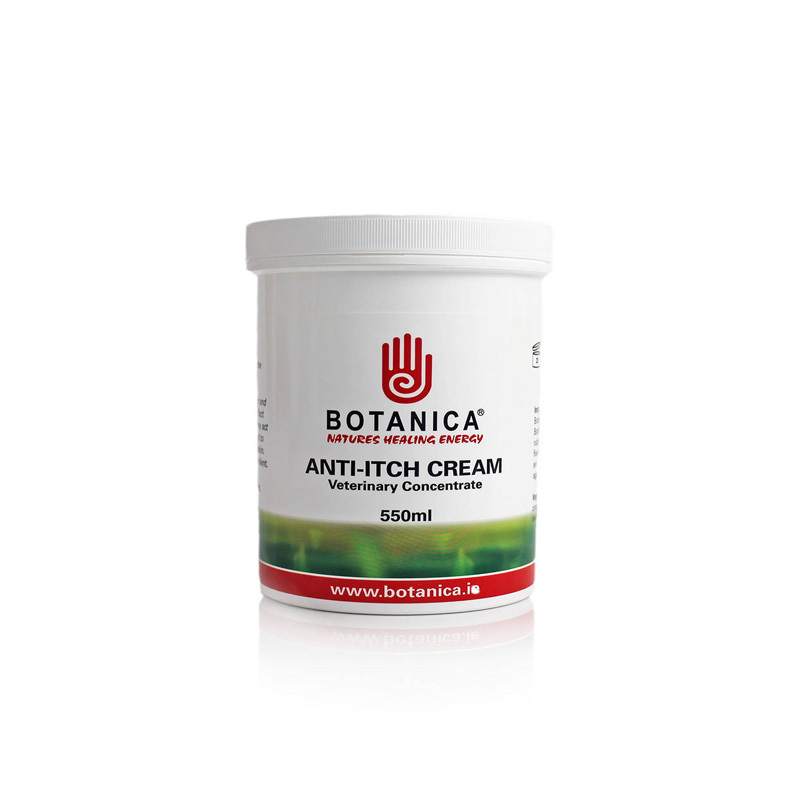 Botanica Anti-itch cream contains a blend of Aloe Vera, Comfrey, Lavender oil and Tea Tree oil, in a plant based cream. This is a powerful, concentrated cream which when used in combination with the Botanica Cleansing wash has powerful effects on itchy skin. It is also a natural insect repellent. When used intensively at the beginning of the season, the combination of the Anti-Itch cream and Cleansing wash can provide relief from the symptoms of Sweet-itch for the entire season. A protocol for this treatment can be found on the Botanica Website.